As the August Brent futures contract traded firmly below US$65 a barrel days after publication of the latest Saudi production data, London played host to the ninth round of the World National Oil Companies Congress. In case you haven’t heard, the Saudis pumped 10.31 million barrels per day in May – the subject of many a chat at the event, atop of course why Algerian and Iranian officials, who usually turn up in numbers at such places (going by past experience), were conspicuous by their absence. The congress threw up some interesting talking points. To enliven crude conversations, you can always count on Chris Cook (pictured above), former director of the International Petroleum Exchange (now ICE) and a research fellow at UCL, who told the Oilholic that Brent – deemed the global proxy benchmark by the wider market – has had its day and was unfit for purpose. In line with market conjecture among supply-side analysts, the industry veteran agreed it would be foolhardy to assume Iran might try to flood the oil market with its crude, a move that is likely to drive the oil price even lower in an already oversupplied market. Cook also declared that OPEC was on life support as it struggles to grapple with current market conditions. With oil benchmarks stuck in the $50-75 range, Keisuke Sadamori, Director of Energy Markets & Security at the International Energy Agency, said a “firmer dollar” and current oversupply would make a short to medium term escape from the said price bracket pretty unlikely. (Here is one’s Sharecast report for reference). Brogan opined that this would have implications for their partnerships with NOCs and fellow IOCs going forward. With the old tectonic plates shifting, IOCs wanting to conserve cash, NOCs craving a bout of further independence and the oil price stuck in a rut, that’s something worth pondering over. But that's all for the moment folks. Keep reading, keep it ‘crude’! © Gaurav Sharma 2015. 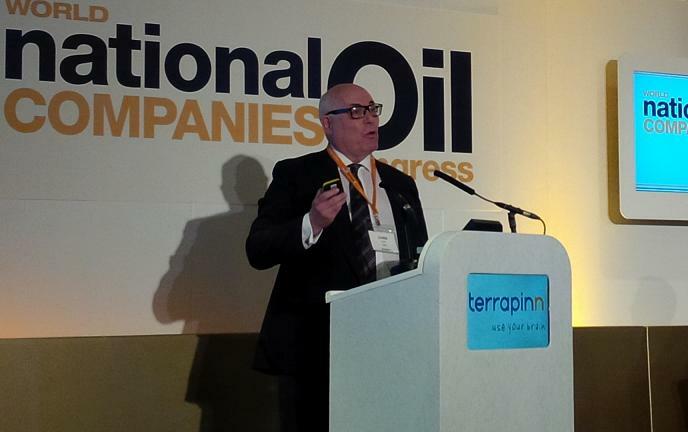 Photo: Chris Cook, former director of the International Petroleum Exchange and research fellow at UCL, speaking at World National Oil Companies Congress, London, UK, June 16, 2015 © Gaurav Sharma. The OPEC meeting is over, quota stays at 30 million barrels per day, and by the way – it was never a quota but rather a recommendation in Secretary General Abdalla El-Badri’s own words. From now until December, when OPEC meets next, member nations would be contemplating what constitutes an equitable price (whether or not that’s achievable given the state of the market) and use that as a basis for deliberations next time around. Both benchmarks ended sharply lower on Friday relative to the previous week’s closing price after OPEC’s decision. Brent shed 3.51% on its May 29 closing price while the WTI lost 2.32%. OPEC’s daily basket price came in at US$59.67 a barrel, right before it reached its latest decision. 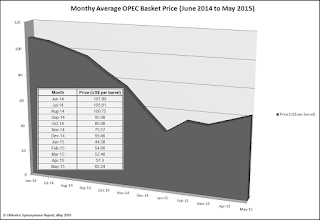 In fact, OPEC’s average monthly basket price tells its own story. A graph drawn by the Oilholic (see above left, click to enlarge) based on OPEC data, shows the price falling from an average of $107.89 in June 2014 to $62.24 in May; a decline of 42.31% in that time. It went down a cliff between June and January, before recovering to where we are at the moment. Of course, the price threshold point ensuring Al-Naimi’s happiness would be a lot lower than regional rivals Iran or Iraq. The Iranians expressed a desire for $75, the uppermost and highly unlikely top range of the Oilholic’s short-term forecast. Angola, Nigeria, Ecuador and Venezuela said $80 was their equitable price. One suspects, Venezuela – in the midst of an economic crisis – needs a three-figure price but cast its lot with those quoting the highest, even if its $20 short of what it is after. When quizzed about the oil price, El-Badri said, “OPEC does not have a so-called oil price target; we leave that to the market. The rich ones – Saudi Arabia, United Arab Emirates, Qatar and Kuwait – met well before the OPEC seminar and the subsequent minister's summit, and agreed on keeping the production ceiling where it was at 30 million bpd. OPEC's production actually came in at 30.93 million bpd in April, and could unofficially be anywhere between 31.5 to 32 million bpd depending on which recent industry survey you choose to rely on. It’s probably why El-Badri downgraded OPEC’s “quota” into a “members’ recommendation”. The Oilholic though couldn’t help noticing there was quiet satisfaction within OPEC about the market not getting materially worse between its meetings with little prospect of prices getting entrenched below $40. One does not see it coming either. As we enter the latter half of the year, focus will shift towards global economic growth and how it supports demand for crude oil. OPEC noted the global economic recovery had stabilised, albeit with growth at moderate levels. In the current year, global GDP growth is projected at 3.3%, and expected to be at a slightly higher level of 3.5% for 2016. As a consequence, OPEC expects world oil demand to increase in the second half of 2015 and in 2016, with growth driven by non-OECD countries. Of course, the said growth levels wont see the oil price shoot up given more than adequate supplies, but will probably see 8 out of 12 OPEC members pretty content, whether they get what they say is their equitable price or not. That’s that from the 167th OPEC meet; time to head back to London town. Keep reading, keep it ‘crude’! © Gaurav Sharma 2015. Graph: Monthly average OPEC Basket Price (June 2014 to May 2015) © Gaurav Sharma / Data Source: OPEC. It was over in a jiffy – that’s the best explanation one can come up with. So the OPEC ministers arrived at 10am CET, did their customary presser, opening note came in, sandwiches followed (nothing worse than keeping analysts and scribes hungry) and then time slot for the formal quota announcement kept getting revised from 1600CET to 1530CET to 1430CET. Before you knew it – in came Secretary General Abdalla Salem El-Badri at 1400CET to convey what everybody had already factored in, the ‘official quota’ stays at 30 million barrels per day (bpd). Official quota in inverted commas because we all know OPEC is pumping way more than that. Surveys suggest that between the 12 member, the exporters’ collective led by Saudi Arabia is producing over 31.5 million bpd. Even OPEC’s official monthly report from April put production at 30.93 million bpd. With demand tepid and the oil price neither here not there, but better than January, where was the incentive to change, as one opined last month. In fact, the Oilholic is getting quite used to filing an end of conference blog post from here titled “no change at OPEC” often followed by “in line with market expectation”. Quite like the 166th meeting, that number 167 followed the recent norm was hardly a surprise. Perhaps they'd had enough of each other at OPEC International Seminar which came before the meeting. But as one’s good friend Jason Schenker, President of Prestige Economics, says “Oil has always been a story of demand”; El-Badri & co. saw tepid demand and responded leaving production as it was. OPEC is indeed forecasting world oil demand to increase in the second half of 2015 and in 2016, with growth driven by non-OECD countries. But nothing quite like what it was in 2014. There was one rather intriguing development, for according to El-Badri it seems we’ve all got it wrong. The so-called, OPEC production quota, it turns out isn’t a quota at all. "It is not a quota as such, but rather a recommendation given to members which we expect them to take," said the longstanding Secretary General. He also said OPEC in fact had no target price, when asked if the Iranians' opinion that US$75 per barrel would be adequate was a view he shared. On the supply side, non-OPEC growth in 2015 is expected to be just below 700,000 barrels per day, which is only around one-third of the growth witnessed in 2014. That's all from Vienna for the moment folks. Keep reading, keep it ‘crude’! 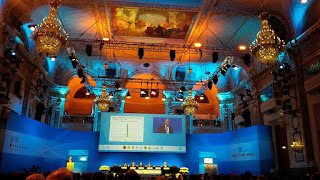 The Oilholic is back in Vienna, camped up here in the Austrian capital for OPEC’s latest deliberations with an extended round of market chatter in the shape of the organisation’s once-in-two years International Seminar (which concluded on Thursday) ahead of the minister’s summit. Not all 12 OPEC members are having sleepless nights. The mood in some camps is pretty placid, and not at all dark as some would have you believe. Two days of the international seminar have been fascinating. The sixth in the series saw a procession of CEOs come and go, but Ryan Lance, CEO of ConocoPhillips, delivered a blinder of a speech telling his hosts – shale was here to stay. Representing the buyers’ club, Indian Petroleum Minister Dharmendra Pradhan bluntly called for a revision of terms and conditions on which his country, a major client of OPEC exporters, imports oil. Both comments stood out for the Oilholic in terms of robustness. Here’s one take in a column for Forbes. There were plenty of spot reports for Sharecast to share around too. In wake of the oil price decline, several CEOs – including CEO of Royal Dutch Shell Ben van Beurden, Total CEO Patrick Pouyanne, Eni Claudio Descalzi and Chevron chairman & CEO John Watson - called for a rethink in industry strategy (click here for report). Emerging market demand or non-OECD demand remained a recurring theme for OPEC as well as wider industry commentators with member ministers and Big Oil bosses queuing up to point out Asia is where most of their crude product’s demand will come from. Even before the ministers have convened there is palpable sense here in Vienna, that OPEC would not move to alter its production quota of 30 million barrels per day (bpd), given that it’s already ‘officially’ pumping 930,000 bpd more than that, with unofficial estimates putting it some 1.5 million barrels above. There’s always the element of surprise, but that element seems to be missing here, especially on crude matters. Finally, the Oilholic leaves you with a view of OPEC Gala Dinner on Wednesday night (see above right) where one met a lot of old friends and made yet newer ones. This post is just to get the ball rolling, more from Vienna, very, very shortly. Keep reading, keep it ‘crude’! © Gaurav Sharma 2015. 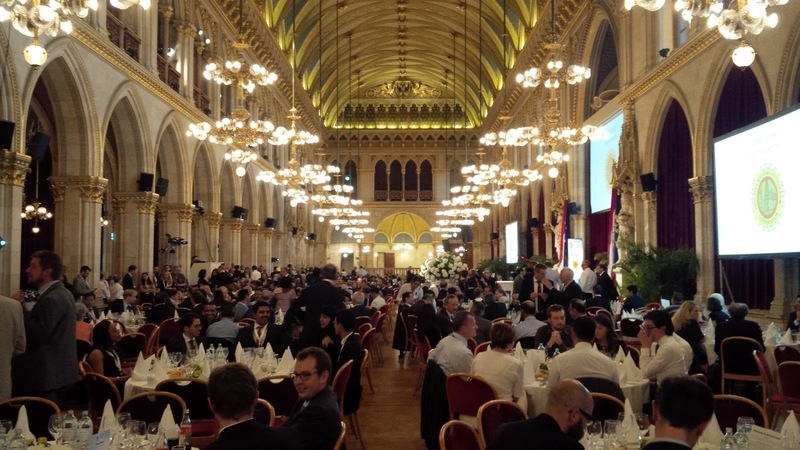 Photo 1: OPEC's 6th International Seminar, Hofburg Palace, Vienna © OPEC Seminar Gala Dinner, Vienna City Hall, Austria, June 2015.